Bats are a huge help in keeping insects in check. But they may seem a bit less helpful when they “check in” to your attic or roost nearby behind a shutter or in your gazebo or carport. And especially when one accidentally gets into your home and starts zipping around, seeking a way out. If one of these scenarios has you searching for bat traps, read on for helpful guidance. Although bats can carry rabies like any mammal, the incidence of rabies in bat populations is very low. Still, it’s very important to take proper safety precautions before attempting to remove a bat from a house or structure. If a bat is found in a room with a sleeping person, or if there was potential contact with human or pet, the National Centers for Disease Control and Prevention (CDC) recommends that the bat be captured and tested for rabies, because bats’ teeth are so tiny that a bite may go undetected. When attempting to capture a bat, wear heavy gloves and place the bat in a non-metallic container with air holes. Never handle a bat with your bare hands. Do not pick up a bat or remove one from your pet’s mouth without first putting on heavy gloves to protect yourself. Any potential exposure to rabies warrants consulting with both your physician and local health and animal control authorities. Follow these important cautions, but also be aware that bats are often found on the ground for reasons unrelated to rabies. Ordinary occurrences such as being too chilled to fly or being stunned from flying into a window may keep a bat from flying. Bats are unlikely to be aggressive or to bite unless they feel threatened. Being handled will cause any wild animal to feel threatened, even if you are gentle. Another health issue worth noting with respect to bats is histoplasmosis, an illness affecting the lungs that is caused by a fungus that can develop on bat droppings. This can be a concern if there has been an accumulation of guano within a structure and the environmental conditions are right for the fungus to grow. Before attempting to remove accumulations of guano remember that if the fungus is present the fungal spores can become airborne when disturbed, and breathing in the spores can cause infection in the lungs. Significant accumulations of guano inside a structure should be discussed with a professional company that specializes in the removal of hazardous waste. There are a number of reasons a bat can end up in a room of your home. She is there by accident and wants to find the way out as much as you want to get her out. 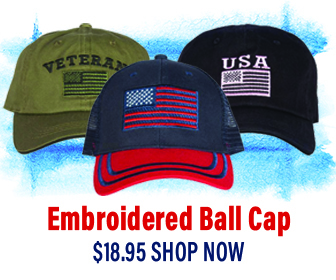 Send children and pets into another room, and remain calm. Close doors to other rooms, and open an exterior door or window so she can exit. Stay close to walls bats are heavy bodied and their flight path will dip towards the middle of the room. This is the source for the myth that bats will try to get tangled in your hair. If she doesn’t exit in a reasonable amount of time, attempt to catch her when she lands on a curtain, upholstery, or plant. Another means of capturing a bat who has landed is to gently place a container over her and work a piece of thick paper or cardboard underneath. Again, if someone may have been bitten or has handled a bat without protection, the CDC recommends that the bat be tested for rabies, so contact your local animal control agency. Otherwise, though, you may release the bat by placing her four or more feet off the ground on a tree trunk so she can take flight. As bats cannot fly up from the ground, if you place her on the ground she will have to crawl to something vertical that she can climb. Determine how the bat entered the structure. It is likely that it is an accidental intrusion from an open door or window, but it is possible that a colony has taken up residence in an attic or wall void. 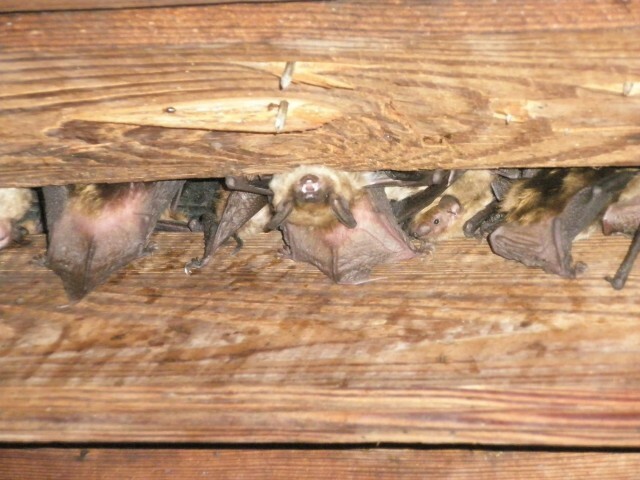 Before thinking about how you are going to get bats out of your attic, check with your state wildlife agency. They will be able to tell you about any laws pertinent for your area and when you can safely exclude bats without separating parents from dependent young. 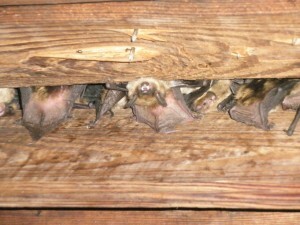 Avoid evicting bats in winter, as they are hibernating. Early autumn and early spring are usually the best times, but your state wildlife agency will have more specific information for your region. Evicting a colony of bats from your house effectively and humanely can be very challenging and often requires the help of an expert. If you need professional help, request a referral from your local wildlife rehabilitator, wildlife center, or state wildlife agency, but make sure that any service providers follow the guidelines for eviction provided by nationally recognized organizations like Bat Conservation International (BCI). Identify all entry points. Check for gaps along the rake boards of your house and around windows, and gable or side attic vents, as well as damaged or deteriorating siding, eaves, or roofing material. Remember that bats can access spaces that are very small — as small as ½ by 1½ inches. A good way to locate entry points is to conduct a bat watch around dusk to see where they are exiting. This will also give you an idea about how large the colony is. Install one-way bat check valves (also known as one-way valves, and 1-way tubes or bat cones) on the entry points. A one-way check valve can be constructed by using a piece of fiberglass window screen—available from your hardware store—that you cut and attach so it drapes over entry points, enabling bats to leave, but not re-enter. Tubes and cones can be purchased, or made from PVC pipe. Leave the check valves in place for about a week, giving the bats ample time to leave. Check for bat activity in the evening at this point. Watch to see if bats are using the check valves or if they are exiting from other areas having found another way inside. If so, add more check valves and wait another week for the bats to leave. Once you see no more bats exiting in the evening, remove the check valves and seal the entrances by using wire cloth or mesh with ¼ inch openings or by matching existing building materials. For more specific guidance, check Bat Conservation International’s website, where you’ll also find tips on construction and placement of check valves and tubes and for putting up a bat house, which will give bats a shelter option that is better for both you and them. After feeding on insects, bats need time to rest and digest. Gazebos and carports seem like ideal spots to bats for roosting, but naturally, they must eliminate, and the mess they leave may be a problem. It’s a fairly simple thing, though, to encourage them to find another night roost or to prevent them from using your carport or gazebo. Attaching shiny tape (Mylar, for example) to the rafters may be sufficient to repel them. 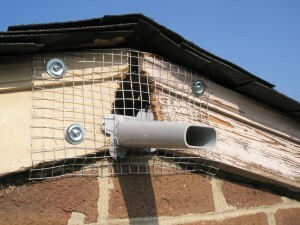 If not, staple plastic sheets to prevent them from getting a foothold so they won’t be able to roost. Place the staples about an inch apart, or closer, to prevent bats from getting under the sheeting and getting stuck.